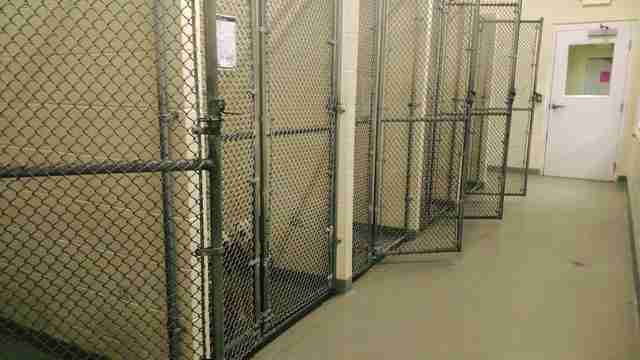 "Us shelter staff actually cried tears of joy." They say good things come to those who wait — and nobody understands that better than Capone. 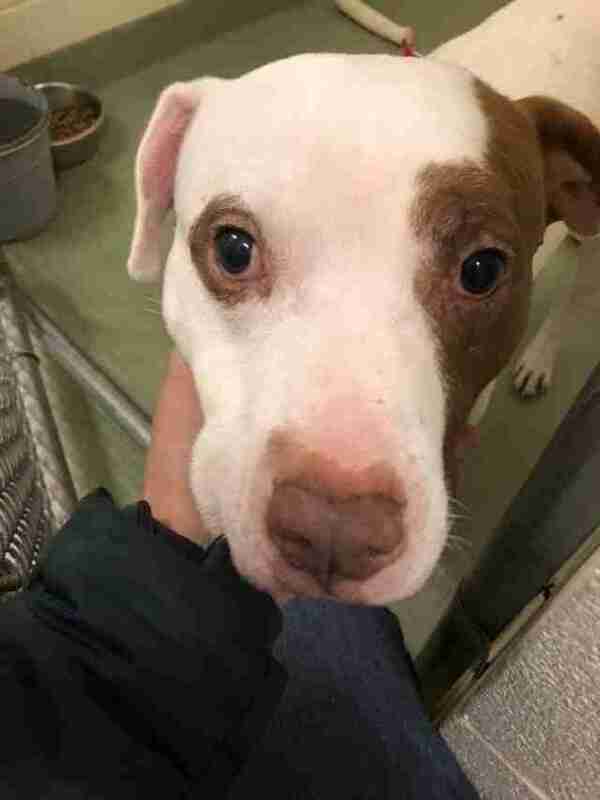 The 7-year-old Staffordshire terrier mix has waited patiently for a forever family at the Ionia County Animal Shelter in Michigan, but nothing has seemed to stick. Instead, the senior dog watched as, one by one, his shelter mates walked out with their new parents. Until, at last, he was the only one left. 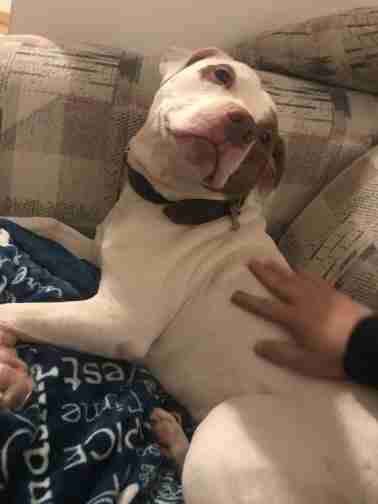 Capone had been adopted shortly after he was brought to the shelter in 2017, but he found himself back again a year later after a squabble with another dog visiting his home. Homeless for a second time, Capone was depressed and stopped eating. Quinn could tell that Capone’s hunger strike was actually a sign of something more serious. 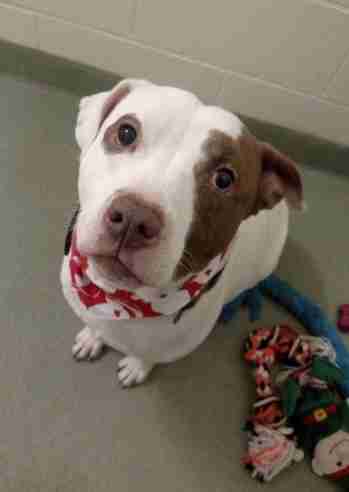 But Capone wasn’t just nursing a broken heart — he was terrified of being rejected again. Since the shelter staff now thought Capone would do best in a home with no other pets, finding the older pup the right situation proved to be challenging. 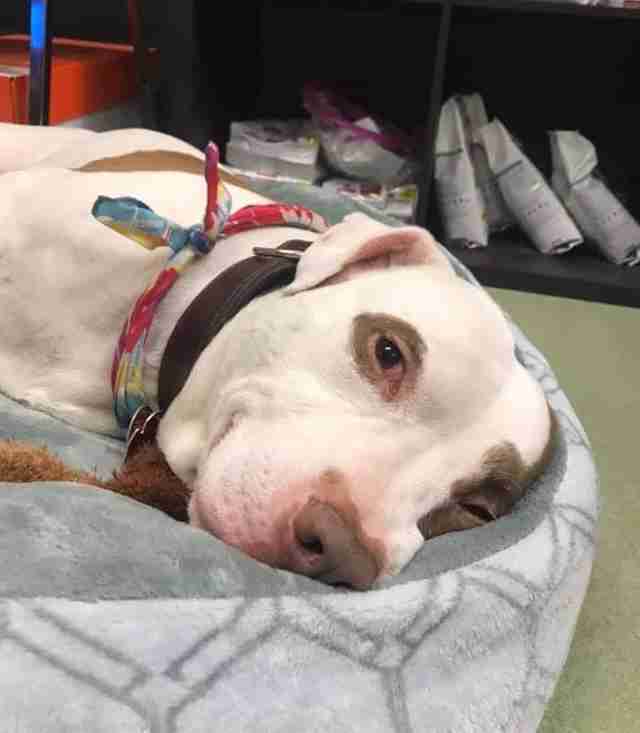 Shelter staffers continually posted his picture on social media, making sure that everyone in the area knew the dog was available and ready to meet his forever family. Just a few weeks ago, that is exactly what happened. But after being surrendered twice, Capone had become picky about who he’d let into his heart. “It was truly a tearjerker,” she added. 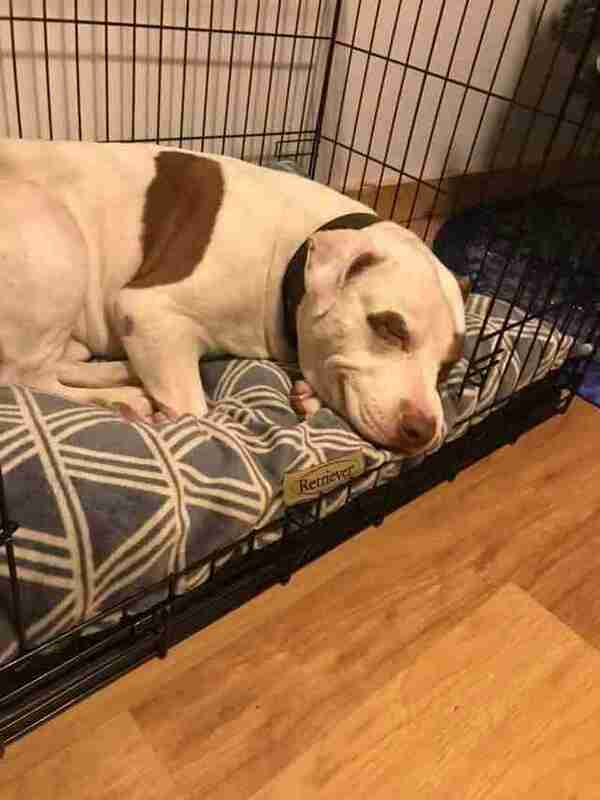 The loneliest dog in the shelter had finally found his home, and staffers couldn’t hold back their emotions as they witnessed the perfect ending to Capone’s story. 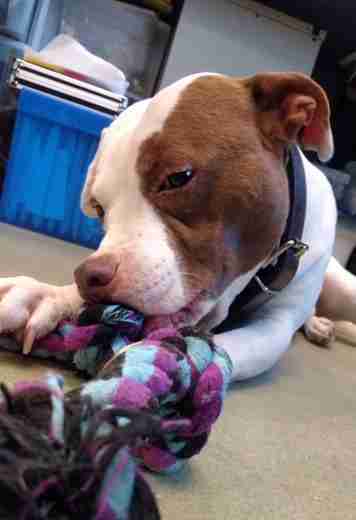 If you would like to help other dogs like Capone find homes, you can make a donation here.